I arrived home from what has arguably been one of the worst weeks at school (nothing to do with my gorgeous kids or my fabulous parents) to find a package on my doorstep. I took the package and my dog and together we sat in the Boise sunshine and read our new book: Freedom Is Blogging In Your Underwear by Hugh MacLeod. It is brilliant. First of all, superficially some might say, it is physically enticing (I am now imagining Hugh saying “Much like the author” – funny) but it is – an almost square hardcover, great dust jacket, not too many words on a page and a smattering of cartoons throughout. It also is endorsed by Seth Godin. What else could you want in a book? Beyond aesthetics, the book is still brilliant. It isn’t going to take you hours to read it (or even an hour, actually) but it will be a book you come back to as you explore the idea of blogging and what it means to you. 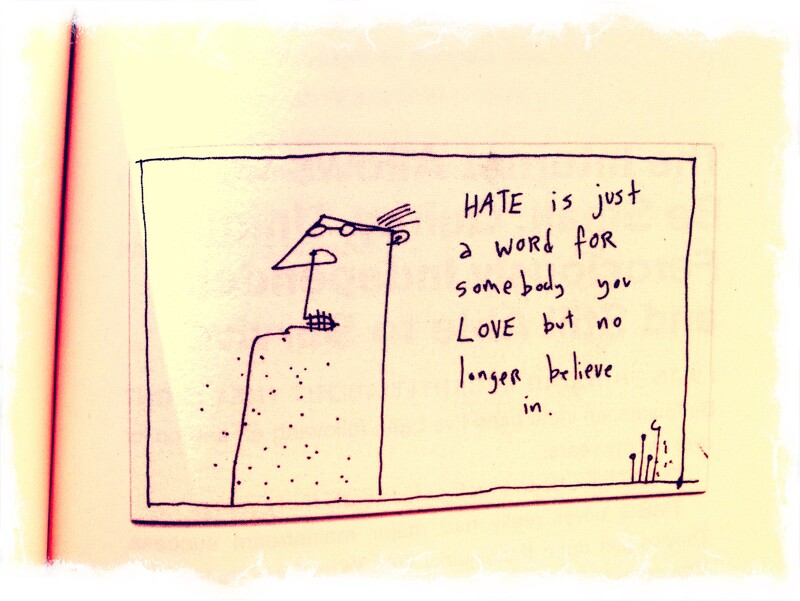 I am new to Hugh’s work having followed his cartoons at Gaping Void for only a few months. A quick search around the web has this book getting lukewarm reviews from some of his ‘biggest fans’ due to the brevity of his message and the punch that it doesn’t pack. The book concludes with a call to be a Beacon – a light to others, a navigational signal that guides you when you are lost. 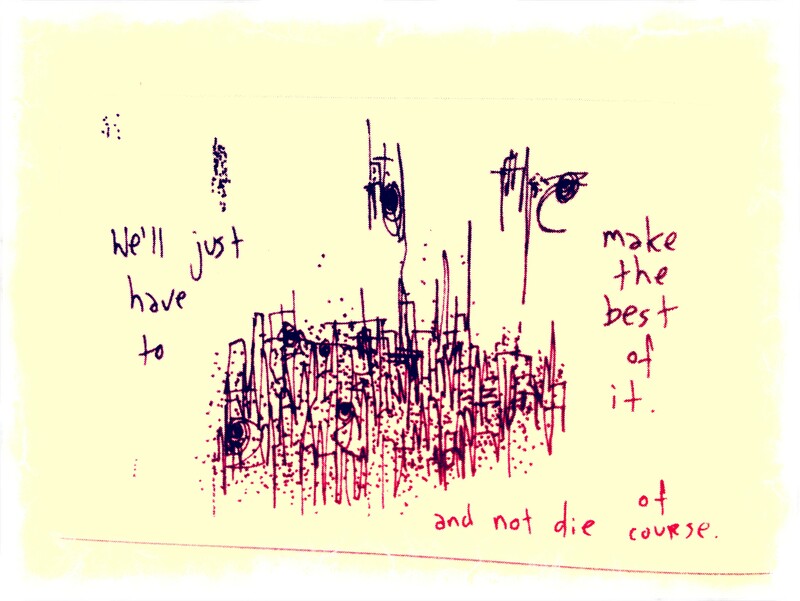 One of MacLeod’s beacons is Austin Kleon (love!) and by the tone of voice and message and overall war-cry to action that resonates throughout the book, I would imagine Seth Godin is a beacon too (the endorsement from Seth on the back cover and the reference to him inside the book also helped with this conclusion). It made me think about who my beacons were in my workplace or in my ‘circle’ of people – those people that make you want to be a better teacher, writer, story-teller, innovator and educator. I also thought about my kids at school and the type of beacon I am to them. As we head into our final full week of work before the Exhibition next Monday, I am reflecting on the last 7-8 weeks and the more I do, the more I realize how important it was to place beacons along the path for our kids in the form of people who helped us along the way. Part of being a good teacher is knowing when to outsource and how to facilitate the involvement of other people. Without the enriching experiencing of having beacons along our journey, I know it would not have been as rewarding and meaningful of an experience as it was. I know a lot of other people focus on the ‘freedom’ aspect of this book, but for me, the beacons really stood out (no pun intended) as being something worth taking note of. Who are you a beacon to? Previous postAuthenticity – Do You Practice What You Preach? Fantastic post. School libraries should have a BEACONS section. Interesting but true, lately I’ve been finding the words of fellow educators via Twitter and ePublications to be the best beacons of all. Ze Frank is another one I think every single educator should be checking out. I love that idea of the BEACONS section. I would love to see that expand out into a whole school community event so that we can really tap into our collective knowledge. I don’t think I know Ze Frank – will have to check that one out. I had a great time collaborating on a third grade PYP unit last night with a teacher I have never met who lives in Australia. So great. Thanks for the ZF rec. Thank you for the link. 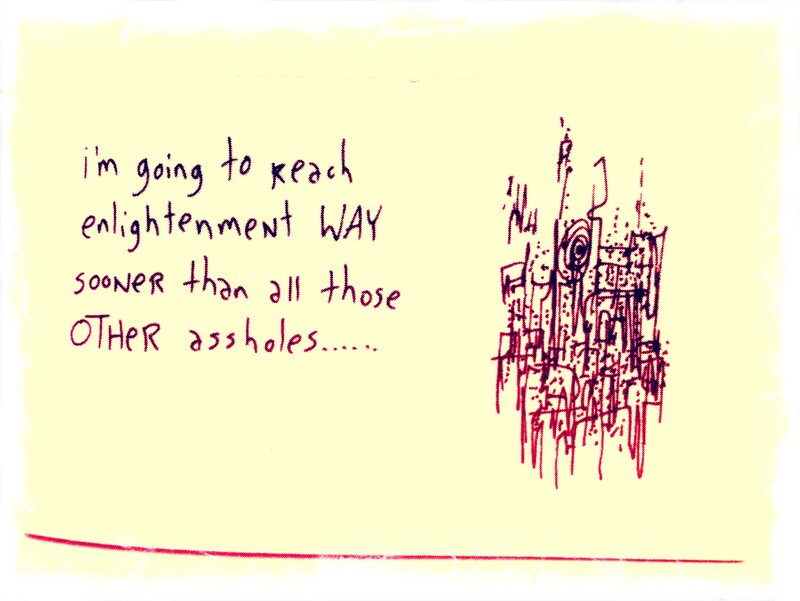 And your humor….also on the enlightment train….ahha assholes!! !